The Mata Hari came with a AllTek MPU board installed. 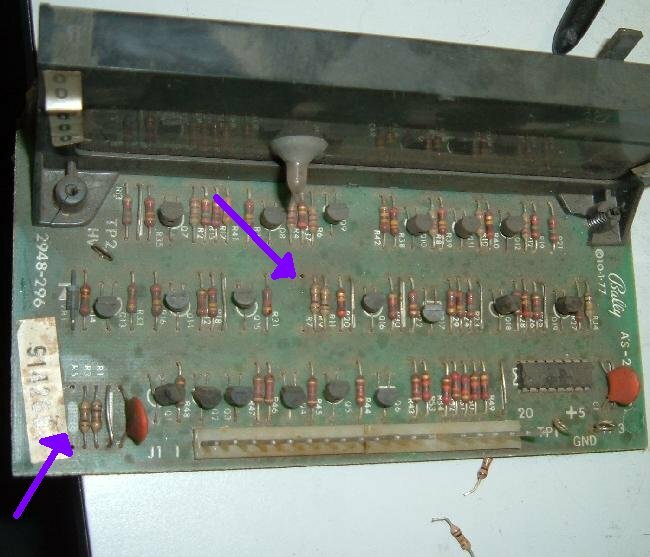 Unfortunately this was an early AllTek, and it had 3 AA batteries installed right on the board. Sure enough, they had leaked. So that board was going to need some work. 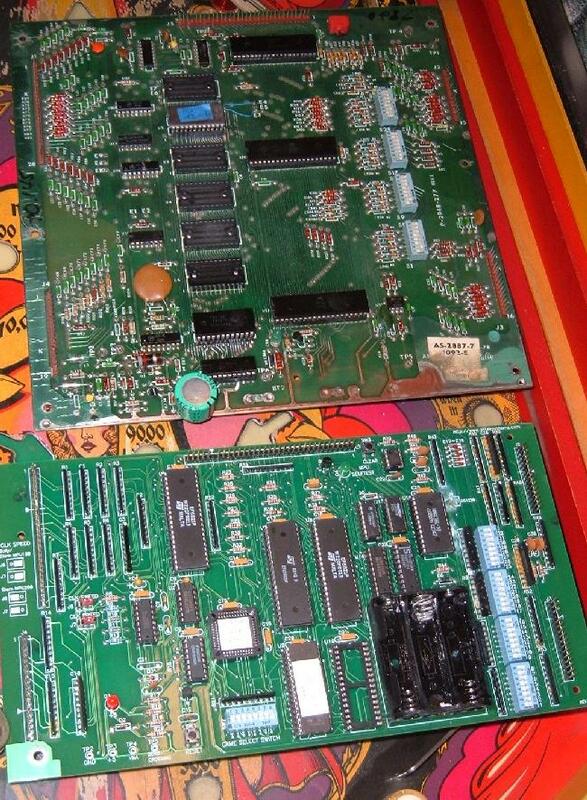 The good news was that the original Bally -17 MPU board also came with the game. It’s battery corrosion was pretty mild, and I felt we could fix that board quickly. Sure enough, when I put the MPU on our test fixture, it booted with 6 LED flashes (where 7 LED flashes would be a working board.) The last LED flash didn’t go because resistor r122 on the MPU board was open (2k ohms.) This is a common fault, and replacing this resistor got the -17 MPU fully working. Most of the “closed frame” Auget sockets were also replaced to increase reliability. 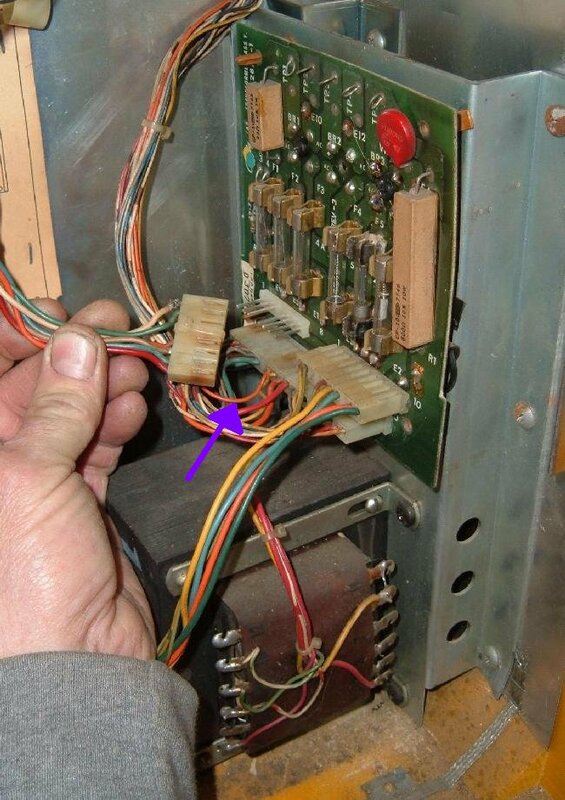 In addition the Mata Hari U2 and U6 game code was combined into a single 2732 EPROM and installed at U2 (thus saving us from replacing the socket at U6, which is no longer needed.) 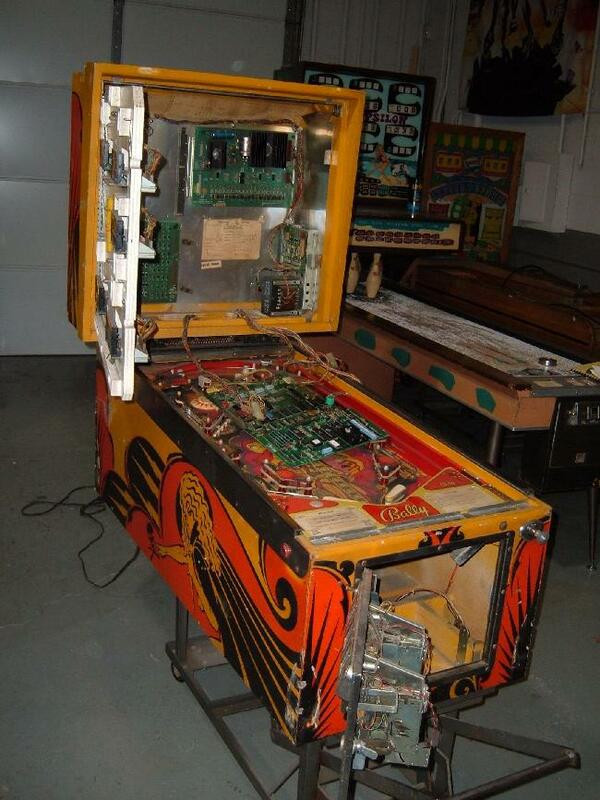 Last we installed a memory backup capacitor (instead of battery) to keep the game’s high scores and credits. Since I was in repair mode, I figured it was a good time to fix the AllTek MPU board too. 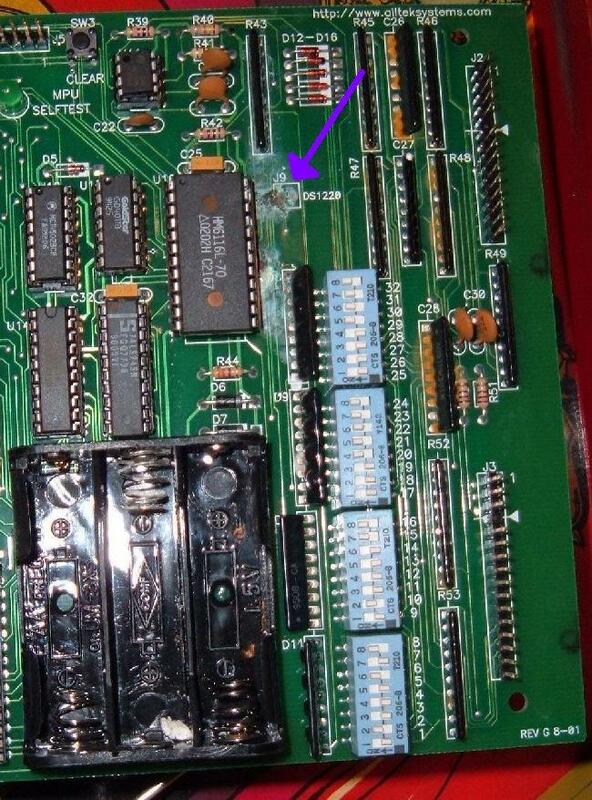 The 6116 RAM socket (24 pins) was de-soldered from the board, and the corrosion removed. The original AA battery holder was removed too, and replaced with a 2032 coin battery holder. This a great alternative to remote AA batteries, and one we are using a lot more here at Tilt Town in our games. Now the AllTek MPU board was fixed, and set aside – it will surely be used elsewhere in the museum in the future. At this point MPU connector J4 is removed and game powered up. Now the voltages at the SDB (solenoid driver board) can be tested. The score display high voltage section was blown on the SDB. How did we know that? Because both HV test points read 250 volts (instead of 250 and 180 volts), so the display voltage was not being regulated down to 180 volts. 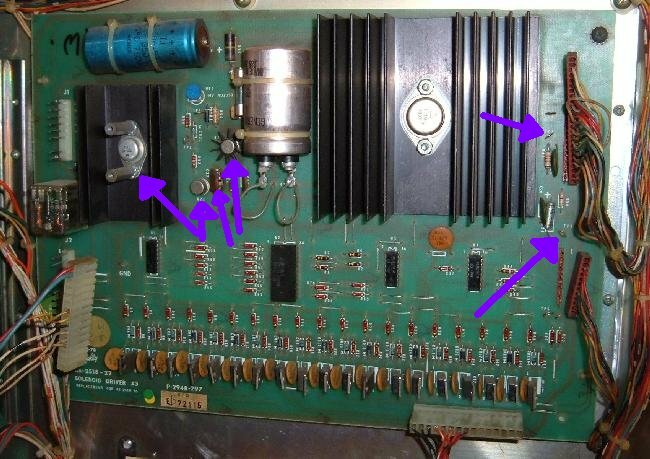 To fix this required replacing two 2n3440 transistors Q22/Q23, the big Q21 transistor, and resistor R51 (22k ohms) Also the fuse holder for the HV section is modified to accept standard size fuses. That fixed the high voltage. Last to fix was the +5 volts. It was good, about 5.20 volts at TP1, but there was no 5 volts at TP3. This means the game will boot and run, but none of the coils will fire. 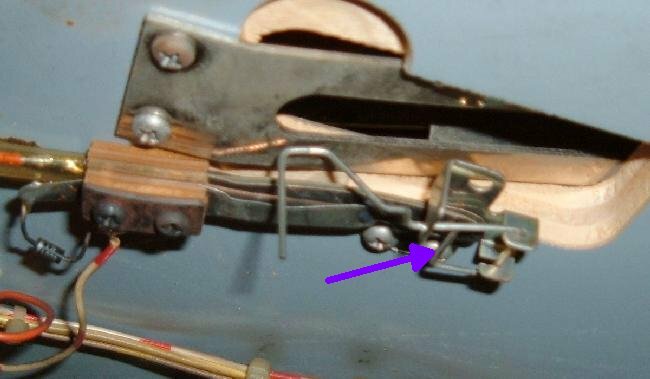 A simple jumper was soldered in place on the SDB between TP1 and TP3 to fix this problem (though you could fix the .100″ connector pins to solve this, but it’s way easier and more reliable to just run the jumper wire.) Now the game booted and ran just great! Now it was time to check the score displays themselves. The game was put into display test, and one display had missing digits. The fix for this is usually pretty easy – check resistors R1,R3,R5,R7,R9,R11 for 100k ohms. Sure enough two of them were open (no reading), matching the two missing digits on the display. Replaced these resistors (and re-soldered the .156″ male connector pins), and the display worked great. Played the game, everything worked just great. Well except when the ball drained to the outhole, it would not count bonus and kick the ball to the shooter lane. The reason for this was simple – the ball switch activator was not positioned correctly. The switches were in the wrong position relative to the activator lever. Some minor adjustment and this problem was fixed. Mata Hari may not be the most advanced solidstate pinball, but it does play well. Hopefully we can sell the game to help cover the costs of the new games that have come into the museum.